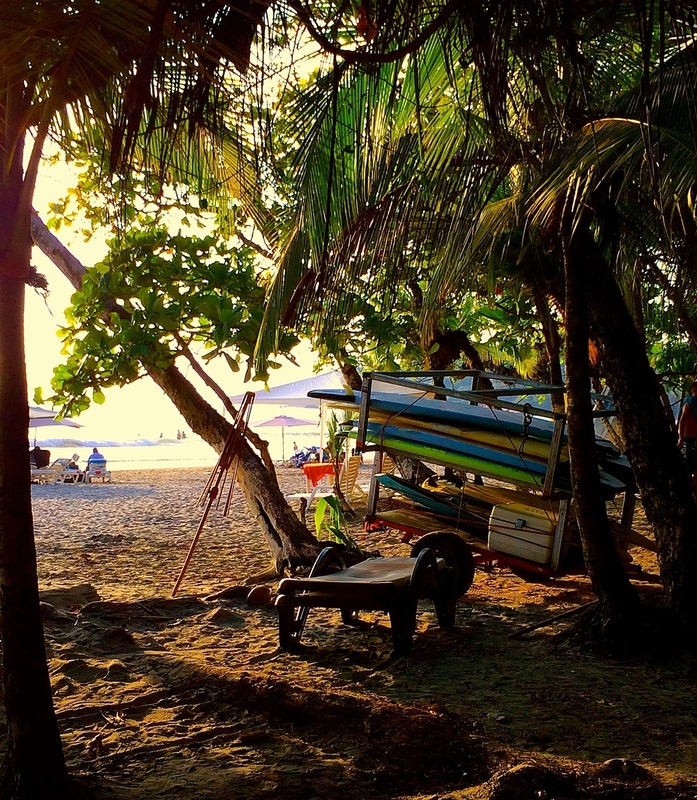 The beautiful country of Costa Rica attracts visitors and locals alike to join in on the many unique adventures that the country has to offer. 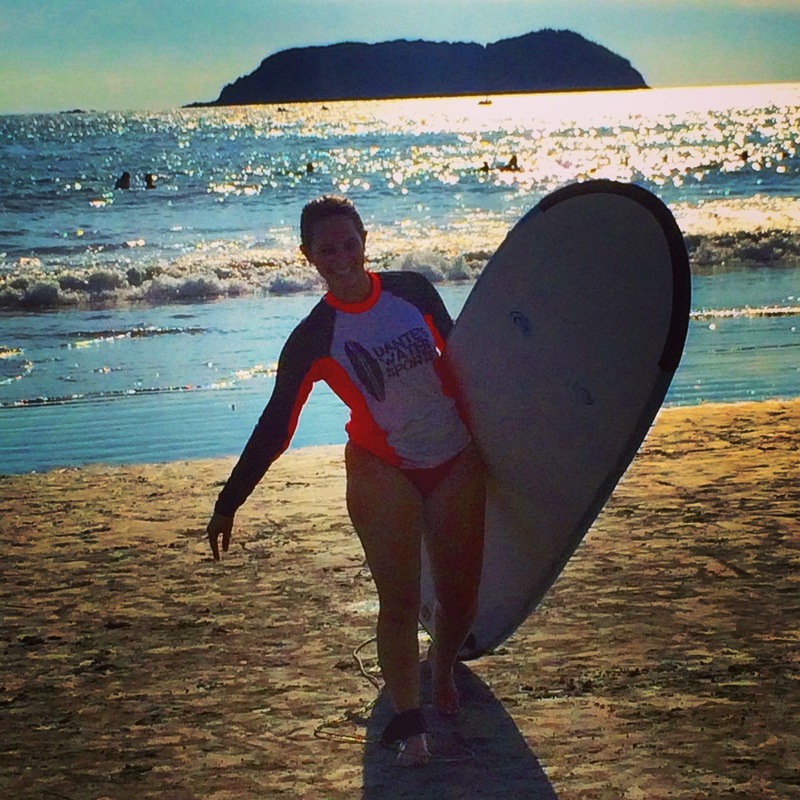 One of my personal favorite activities to do while visiting the gorgeous country was surfing! 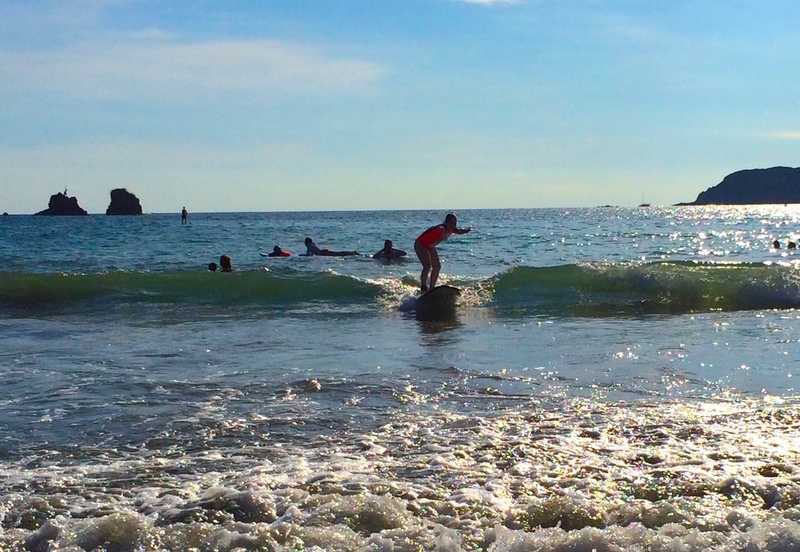 If you’re staying near Manuel Antonio, Costa Rica and you’re looking to go surfing, look no further than Dante’s Water Sports. Dante and his crew were so amazing to our group while we were visiting. They picked us up from our villa, drove us to the beach, and immediately started our lessons on how to ride the waves. 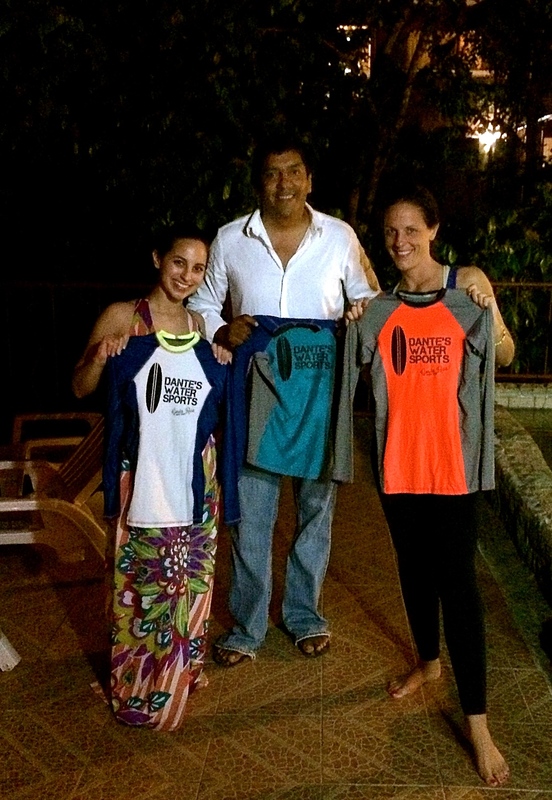 Dante’s team is super friendly, professional, and helpful to newbies, intermediate, and professional surfer types. They provide you with a board and a surf shirt to use while you are out in the water. Since we were newbies, they taught us the basic elements of how to stand up on the board and paddle out, and then they took us out in the water for hours of fun! I even got up on my first try!! After riding the waves for a while, we stepped back on the beach and they provided our group with fresh pineapple and water. Dante drove us back to our villa after the fun day of surfing in Costa Rica. 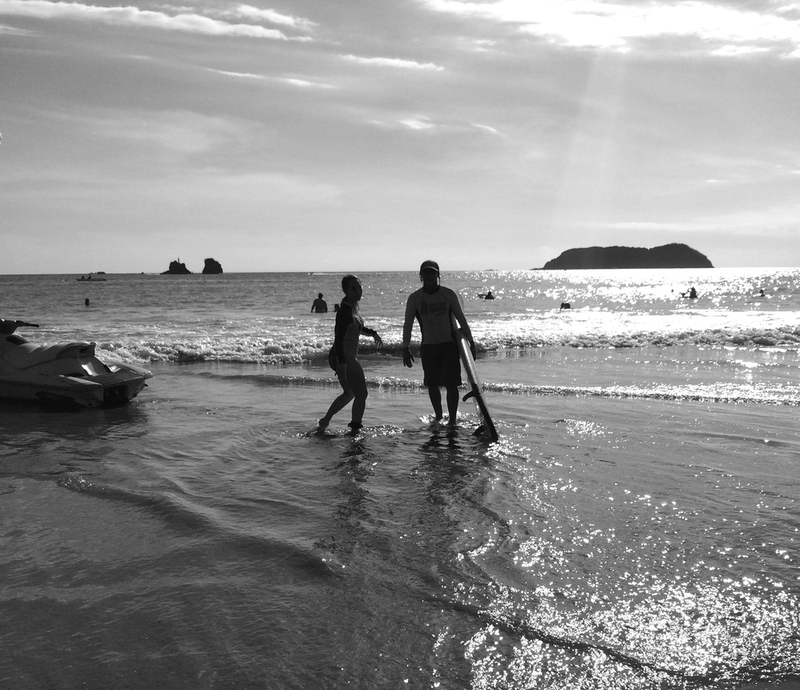 I highly recommend Dante’s Water Sports for a fun activity to try while you’re visiting Costa Rica!